Only recently have I come to understand why in the Middle Ages, men – for it was then only men who wrote or transcribed books – kept a skull on the top of their desks. It was a reminder of mortality. This film reminds me of a state almost worse than mortality, a mind filled with holes. A body that functions without the assistance of a mind. A person devoid of memory. I tried not to concern myself with the fact that my mother did not remember my birthday for the first time in my life. She remembers many other things, including the identities of all her children, even if she now forgets our birthdays. I’m grateful for that. Here is a happy birthday image, grandmother and grandson, taken on the day of my birthday to offset some of the pain of the following video clip, Julia. To see this video, click on the Julia1926 website, wait a few seconds to download and continue to click each time you want to move on. I can't imagine how difficult this must be. How unmooring, really. I am glad that you can hold memories — you do it so well, so strongly. There is still so much blessings in that you have her and she has you. Cherish every bit of it. Reminder of mortality is everywhere. I can't turn my head without seeing it. Ah Maggie, part of the pain for me is that my mother does not have Alzheimer's, like Julia, though clearly she is losing her short term emory. She tends to be selective in her memory of recent events. She'll say it herself, if I need to remember, I will. I'm reluctant to challenge her on anything – she's an old woman, how could I? We learn to live with these things. Thanks, Maggie, for your lovely suggestion. 'Unmooring' is a good word for it, Elizabeth. I keep having to reconcile my memory of the mother I knew when I was little, the mother I remember from my adolescence and later more difficult and conflictual years, with my mother of today. Just as I have changed and keep changing, so too does she. It's hard therefore to reconcile all these disparate characters from the past and these memories from today. Yours is a lovely new profile picture, Fazlisa. It's a long long way till mortality for you, I expect, however much you are reminded of it daily. My sister gradually lost her short term memory. She was well aware of it and it really irritated her – far more in fact than it irritated those of us around her. I'm sorry but, for some reason, the library computer I'm using wouldn't show the video. When you say your mother forgot your birthday, did she forget the actual date, that is, she no longer knows the date you were born, or is that she didn't try to contact you on her birthday? 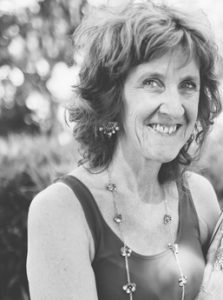 She may have been UNAWARE of the date, as it may be easy to lose track of time in a nursing home. I never put the skull together with morality, now I’m feeling a little foolish. I guess it’s time to find a skull of my own, to remind me. Memory is such a sad thing to loose. Sad to lose memory. It's almost inevitable I fear and I think a way of letting go of life. We are lucky who have good memories. It is our job, as you say, Bish , to remember, for those who cannot. Thanks. My mother's loss of short term memory seems to irritate her at times too, Pat. But unlike your sister she seems less annoyed than a little perplexed. I get he feeling it's all a bit too hard for her these days. I understand, Maggie. The challenge is for me, as you say, internally, not for my mother. Funny how clumsy our online readings can become. I'm not sure whether my mother forgot the actual date or the fact. She has a calendar that she consults regularly with birthdays noted, but certainly from what she says her days tend to merge with one another. I understand at a logical level. It's just that the 'little' me still aches. How could she forget? Of course the adult-me understands. Sorry you could not access the video. I fear others might have trouble too. Maybe you could look it up on GOOGLE : Julia1926. It might become visible then. It's worth a look. It is sad when our loved ones lose their memories, Anthony. And please don't feel ashamed of your failure to connect the skull with mortality. As I said I only just discovered this connection myself. And it intrigues me. I'm sure it will be news to some others, too. I practise remembering, Jenny. And like you, I think it's worthwhile and something to treasure. I've often thought the skull was a good idea and there might be a place for it these days, but it would never catch on and folk would think it morbid. The most positive aspect for you thus far is that she still knows you and other members of her family. Milk every moment. Every blessing to you both. Let me tell you what prompted the writing of it. One of the oldest women in our congregation was taken into an old folks’ home and I was taken along on – what shall we call it? – a pastoral visit, I suppose. I went along with two men, both called Robert and who were commonly known as ‘the two Roberts’ because they did a lot of this kind of thing together; neither of their wives were interested in religion and they used to shore each other up I suppose. This lady’s short term memory had gone. You could actually see the memories fade from her face as you talked to her. She recognised me but thought I was my dad which I found a little odd because we don’t look that much alike but we do have the same first name. Anyway she wanted to go home. Her house keys had been taken from her when she was admitted but she still had her handbag which she would paw through looking for them. Calmly the two Roberts would explain what the situation was, tell her why she had been admitted and what was happening with her keys and her house; she would nod in understanding, calm down and then it would happen – what she had just been told would drift away from her and she would return to the handbag. Over the course of the visit this happened over and over again. We had to watch this frail, little old woman become upset and start to panic until she was told again what was happening. In her prime she was a concert pianist I heard. I only knew her as frail and often quite carnaptious old woman but it was tragic sitting there watching her. I (Sympathy) didn’t know what I was doing there and she (Apathy) didn’t know what she was doing there. Neither of us knew what we were doing there. That is my only personal experience of dementia. Carrie’s mother is well down that road now but I’ve never seen her since she started to degenerate. What Carrie describes is not pretty though. Her mother was always prone to jealousy and distrust but now mixed up with paranoia she can be a handful and one has to think about everything one says around her. Sadly her hearing is still sharp and so even if she’s not in the room doesn’t mean she’s not in earshot. It’s obviously something I realise could affect Carrie or even me but as there’s nothing much that can be done about it I don’t worry. My policy has always been to deal with what needs to be dealt with when it arises; there’s enough to worry about day by day without concerning ourselves over next week or ten years into the future. Dementia is like blindness and Lou Gehrig's Disease in that it makes it emotionally easier to bear the health problems that I do have. It is such as sad, sad, process, both to endure and to observe. It does not, as you realise, mean she doe not care about you any more. Perhaps such occasions need to be mentioned in visits. Lots of reminders about all sorts of things. I had to do a lot of that. I agree, Dave, a skull on the desktop, however useful as a reminder, would most likely put people off. You're right too as far as my mother's concerned she knows us all well, still. It's the trimmings that fall by the wayside. Thanks for your good wishes, Dave. When I was a girl, Jim, the local parish priest and my mother thought it a good idea for my sister and me to go and visit the old folks in the old folks home, as it was then known. They both thought a bit of do-goodery would help to take my sister's and my mind off our worries. Every weekend I'd visit an old lady by the name of Mrs White. I still remember her well. The smell of her lavender hankies and the feel of her raspy fingers on mine. Mrs White ask me to buy her De Wittes antacid powder fro the chemist to help her indigestion. One day I stopped visiting, or she died. I cannot remember the order of these events but it was my first real experience not so much of dementia but of the forgetful slowness of old age. Recently, a close friend, who used to be a dentist and also a psychologist died following some ten-fifteen years of Alzheimer's. I took an interest then in the nature of the disease. There are places now for those who suffer dementia where they pitch a mock bus stop within the home, at which these people wait endlessly for the bus. The idea fills me with the same sense of sadness I experienced reading about your little old lady here. In the end we humans are such frail creatures for all our achievements. Snow, it might be easier to bear the physical ailments with dementia but something tells me for all the so-called absence of pain there might be an absence that's even worse, namely awareness and a loss of meaning. But I can't and should not compare. You'd understand all this well, Persiflage and yes, I try to remind my mother often, though I did not bother with my birthday. My mother's room is filled with photos of the family and I always answer her questions about the day, the time and who's who, however much she repeats them. tremendous reflections Elisabeth. The loss of memory can be terrible yes…but also too much memory of what is no more can devastate. Men's ways into sorrow are multifarious! Buddha was very aware of that. Sad. I really dread that happening. Apparently Buddy is very prone to this but I fear it may happen to hubby and/or me.. If only we could opt out.? My hope is that with all the over population we will someday be able to select our departure from life when it is no longer a useful one. There is a simple oral test to dectect alzheimers desease now days. Followed by a brain scan if the results are inconclusive. Sometimes the depletion of the female hormone can be the cause and depression can even be the culprit. Sometimes monotony makes lazy thinkers of us but Memory loss should be diagnosed swiftly simply to exclude a long term or life threatening illness. Immortality – I think we only give it a thought when we are reminded rather rudely by a life threatening illness or near death experience by ourselves or someone close to us. Thank you Elizabeth for sharing your story. Memory's loss and its reconstruction is such a strange and wonderful process, Davide, for all that it also stirs up deep pain. It's good to see you here again, Davide. Thanks. Euthanasia has a lot to recommend it, Kleinstemotte, if it is administered with the greatest care and thoughtfulness. I suppose many of us have lower thresholds for pain and this can also affect how much we can endure. One of the difficulties with my mother's memory loss is that to discover its cause might induce unnecessary pain and discomfort, Rose. She's 92 years old. She herself reckons it's not unusual to forget at her age. I'm inclined to agree and although it might be that a urinary tract infection or some such malady might contribute, her GP reckons it's best not to investigate too thoroughly at this time because it's enough to keep her comfortable. And the tests might likely be inconclusive. Thanks for your thoughts, Rose. "Only recently have I come to understand why in the Middle Ages, men…kept a skull on the top of their desks. "It was a reminder of mortality." I had seen such representations in paintings, but assumed the the skulls were simply props. Given that such men really did keep them on their desks, I can't imagine what purpose they even might have served other than to remind one of death…. I wonder where they got these skulls. It might be a ridiculous fantasy, Snow, but I wonder whether human skulls were more readily available in those days when grave robbers prowled the land and the fledgling medical establishment, however it existed might have collected cadavers for experimentation. I'm sure there'll be historical references somewhere, but I'm not sure where. It is a curious thought. Thanks, Snow. My grandmother suffered terribly from Alzheimer and in the end did very odd things, like ringing up the police in the middle of the night, accusing her son in law of stealing her TV channels. It appears funny and comical, but also infinitely sad, when I recollect her as highly intelligent and independent woman, fluent in several languages. May I ask who is on that picture? The picture is of me and my grandson, Zuzana, on my birthday earlier this month. My oldest daughter made an ice cream cake and set it off with sparklers and candles. 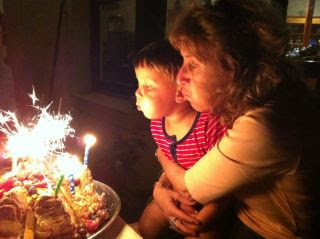 My grandson loves to help with blowing out candles, as you can imagine. I was holding him back in his enthusiasm. Next Next post: What did I forget?